In 1870 barely one tenth of Africa was under European control. By 1914 only about one tenth – Abyssinia (Ethiopia) and Liberia – was not. This book offers a clear and concise account of the ‘scramble’ or ‘race’ for Africa, the period of around 20 years during which European powers carved up the continent with little or no consultation of its inhabitants. This indispensible introduction, now in a fully updated third edition, provides the most accessible survey of the ‘scramble for Africa’ currently available. The new edition includes primary source material unpublished elsewhere, new illustrations and additional pedagogical features. 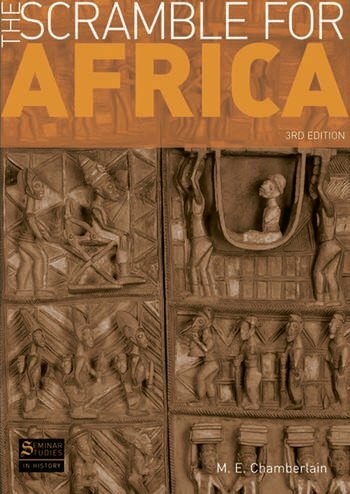 It is the perfect starting point for any study of this period in African history. 28. Was the whole phenomenon economic after all? M.E. CHAMBERLAIN is Professor Emeritus at Swansea University.